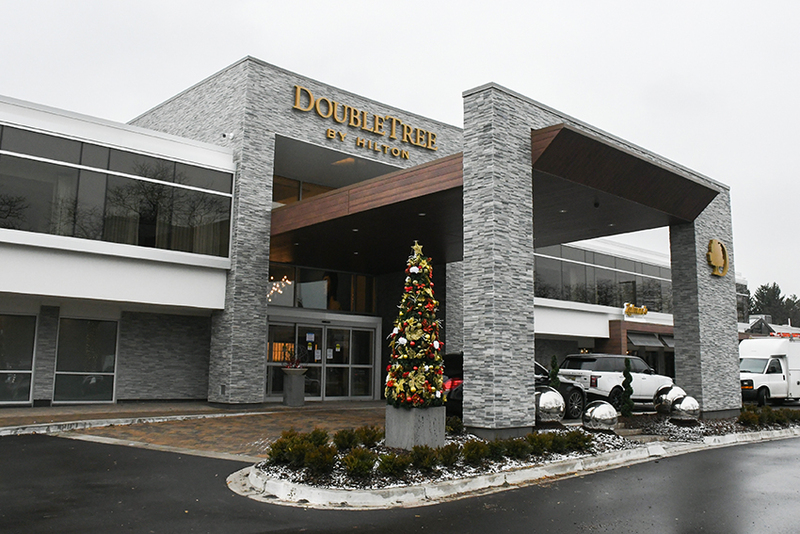 Metro Detroit’s newest luxury hotel, the DoubleTree by Hilton that was redeveloped from the former Kingsley Inn, expects to greet its first public guests in mid-to-late December, just in time for the holiday season. The property has undergone a complete, multi-year renovation. Located at 39475 Woodward Ave., the hotel has been transformed with several additions including a two-story atrium lobby, a new business center, luxury suites, a plush lounge with custom stone materials, and two new on-site restaurants, including Joe Muer Seafood, part of Andiamo Restaurant Group in Warren. “The level of excitement we had through the life of this project to reinvent an iconic property in the metro Detroit market was unparalleled,” says Matt Shiffman, one of the hotel’s co-owners. “The Kingsley was the place to be seen, the place to stay, and the place to hold a celebration. Guest rooms have been fully renovated and feature pillow-top beds, complimentary WiFi, large flat-screen HDTVs, and walk-in showers among other luxuriously appointed amenities. “With its ideal central location and boutique feel, guests at our beautiful new hotel can expect world-class service and hospitality conveniently located in the heart of metro Detroit’s business and nightlife corridors,” says Zaid Elia, co-owner of the boutique-style hotel. One onsite restaurant is Zalman’s Delicatessen, a New York City-style deli serving a variety of classic plates, including smoked salmon, whitefish, and house-cured lox, a la carte, and full breakfast dishes, soups, market salads, deli sandwiches, dinner entrees, and desserts. The Duke cocktail lounge is located in the lobby. There, guests can enjoy classic American small bites to accompany an extensive selection of wines and Champagnes by the glass, rare whiskies, and Scotch flights from exclusive distillers as well as premium cocktails and martinis. The complex features 144 guest rooms and suites, an indoor saltwater pool, a 24-hour fitness center, a courtyard and more than 12,000 square feet of flexible event space for up to 400 guests with on-site catering available. The redevelopment was overseen by Jonna Construction Co. in Bloomfield Hills.